← Did you know that pigeon poop is a deadly poison? ‘On Thursday, the Manhattan District Attorney’s office said it has indicted five people for using personal information stolen from around 200 people to fund the purchase of hundreds of thousands of dollars in Apple gift cards, which in turn were used to buy Apple products. ‘We’re not sure if the robotic staff at a planned hotel in Japan will be tucking guests into their beds at night, but they’ll be performing plenty of other traditional hospitality tasks. ‘Huis Ten Bosch, a theme park modeled after the Netherlands in Japan’s Nagasaki Prefecture, has announced plans to open a hotel with robot staff and other advanced technologies. ‘A man has been left devastated after he bought an Apple MacBook on eBay for hundreds of pounds – but was sent a photocopy PICTURE of the laptop instead. ‘Gutted Paul Barrington, 38, fell victim to the cruel scam after winning the auction for a state-of-the-art Apple MacBook on the website. ‘His winning eBay bid was £300 for the top-of-the-range computer, which can cost up to £1,500 when bought new. 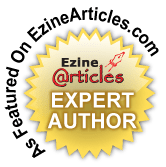 This entry was posted in cybercrime, home safety, news, science and technology, Society, TECHNOLOGY and tagged Developmental-Behavior Pediatrics, Facial recognition system, Mobile devices, Robot. Bookmark the permalink.